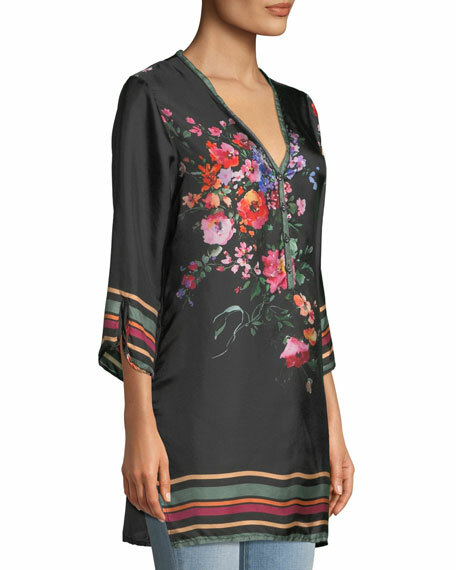 Johnny Was "Charlotte" tunic blouse in rose floral-print silk twill with border stripe detail. 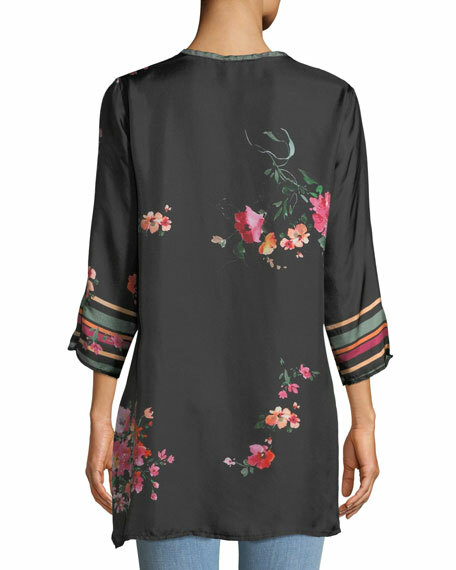 V neckline; half button front. For in-store inquiries, use sku #2673666.